As we all are aware, depression can kill a person slowly. 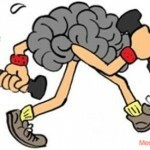 It not only affects your mind but also affects your body. Depression or stress hormones affect various organs of your body which then results in various kinds of trouble. There are various kinds of therapy and treatment available to it out of which lithium treatment is one. Lithium acts a mood stabilizer in one’s body. It is used mostly as it helps the patient to control his/her mood with lesser side-effects. In recent times, it was also been used with other antidepressants to treat depression which has shown no effect on other treatments. It might not show its affect immediately but can show various times varying from one month to even years. It is important that lithium is taken in such a dose that it is there in blood to treat mania. There is no specific answer to how does it work on depression but there are chances that it alter the way our nerve cells responds to certain chemicals which flows in the blood. It is quite common as in there are no chances of getting addicted to it. One can easily withdraw it from the use of lithium intake. But if, after withdrawing you feel the need of it again, then there are chances that the chemicals which went are making their comeback. In that case, you might have to continue taking it. It is always better that before starting the treatment, you speak to your doctor and get things right. Checking lithium level in blood is also as it gets drained out of the body through kidney. You the level can be checked in your urine. It can be only prescribed by your doctor. Sometimes, the clinic itself has those sections where they test the blood and provide you with the dosage that you need to take. Lithium takes a day time to dissolve in the blood. So, if you are changing the dosage then it is better to get it tested after a day. Also, in this treatment you have to make sure that you are not changing the brand or dosage without consulting your doctor. This treatment might show some side effect on your body. You might get dry mouth, a mild weakness, shakiness and even metallic taste. Also, after continuing with it for a longer time, you would also notice some weight gain, swollen ankle due to water retention, underactive thyroid gland and even passing more urine than normal and drinking more water. Also, if the level of lithium goes high, you might have blurred vision, lack of appetite, vomiting and diarrhea (some bowel looseness). If it is been taken by women who is three months pregnant, she might give birth to the baby with congenital abnormalities. Also, a breastfeeding woman should choose between the breastfeeding and treatment. Although the children won’t get affected if the father is taking the treatment. Depression is important to deal. If dealt at the right time, it could avoid various health problems. So, one has to make sure that they find the right and easy way to deal it. 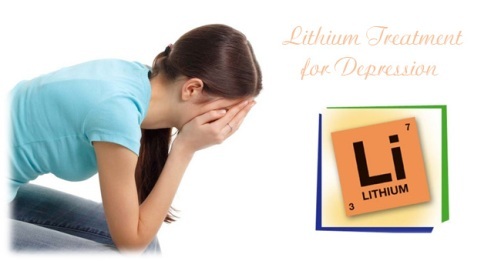 Lithium treatment has shown the nice results in many cases and that’s why it is one of the common treatments to deal with depression. It is better that you consult your doctor before starting this treatment.